Los Gallombares has been gradually evolving into one of the best agricultural cooperatives dedicated to green asparagus in Europe. In its early years, the cooperative needed to strengthen its ties with their desired market and to achieve new opportunities, setting themselves up in a market where the main objective was to meet their customers’ demands with the best quality of this tasty and typical product of their land. Over the years, Los Gallombares has consolidated its position in a way that allows it to be found in a great part of Granada with different warehouses strategically distributed for its logistics. 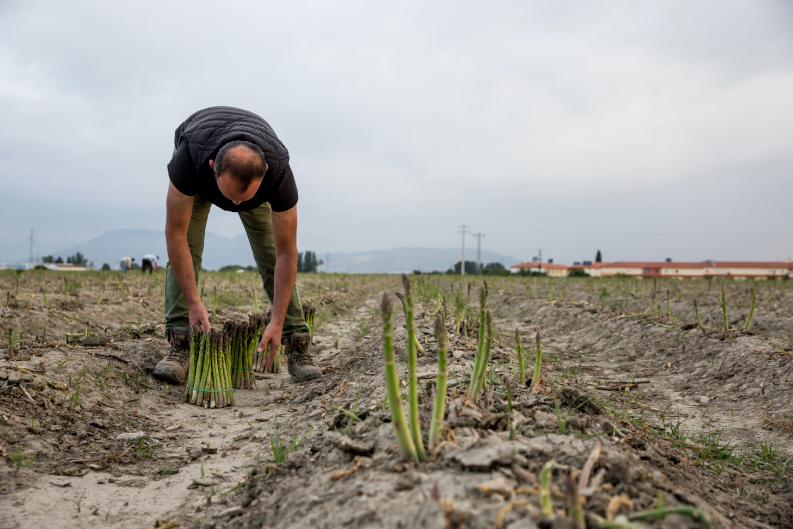 Currently, we collaborate with more than 500 partners with a strong sense of commitment concerning their work, green asparagus production and environmental care. Furthermore, Los Gallombares also import this delicious product from Peru and Mexico, but only when the national season is finished. To provide our customers with the most delicate flavour and quality that our fresh products offer, in particular green asparagus. All this is due to the best handling and production practices, always bearing in mind environmental care and to a certain degree, striven for social responsibility. To be leaders in the commercialisation and exportation of our fresh product on a worldwide level. Quality. The benefits of green asparagus and the land where it is grown provide customers with an excellent quality reflected on their satisfaction. Commitment. Our customers, as well as our partners forming the cooperative, are the core of everything we do. We are committed to respect, listen to, and attend any needs that may arise.